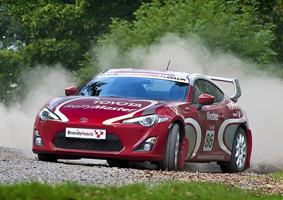 A fleet of 10 GT86 rally cars will be used for the activity, which makes it possible for the holders of standard driving licences to enjoy driving at speed through a rally stage, on a mixture of smooth and loose surfaces. The sessions with an expert co-driver provide instruction on specialised techniques, including braking points, setting-up the car for corners, handbrake control, and drifting. For full details on the GT86 and latest offers visit the dedicated area of the Toyota website.